Finally for small tank owners, we have a solution for creating important current flow. 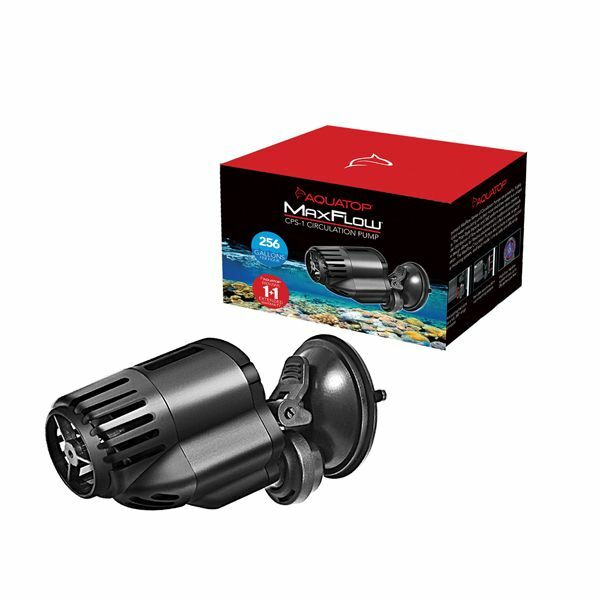 The MaxFlow CPS-1 Circulating Pump not only makes your aquarium more visually appealing, it also improves the environment for your little creatures. Before the CPS-1, aquarium hobbyists were forced to equip their tanks with big size wave makers. AQUATOP's CPS-1 Circulating Pump is compact but powerful and sits on an articulating ball joint that allows a wide, 360-degree range of motion. Now, you can easily adjust the angle of your pump to provide water flow where you never thought possible. In addition, the new suction cup mounting system provides a sturdy and secure hold to any glass or acrylic surface.